There might still be snow falling in some parts of the world, but according to the calendar Spring has Sprung! 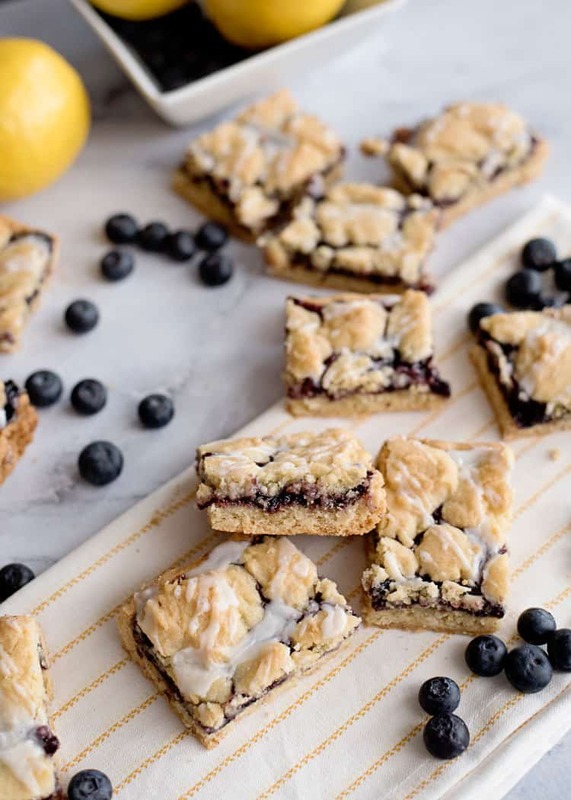 There’s no better way to celebrate the changing seasons than by baking up a batch of these Blueberry Lemon Crumble Bars. AND since the weather is so beautiful why would you want to spend all your free time cooking? 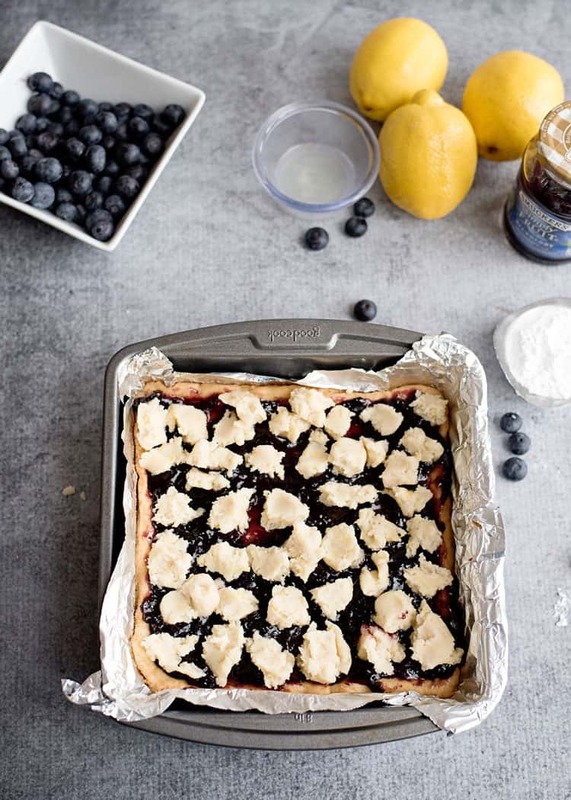 With this un-fussy version of Blueberry Lemon Crumble Bars you won’t have to spend all your time in the kitchen, leaving you a little more time to enjoy these Blueberry Lemon Crumble Bars alfresco with a Strawberry Mojito Float or a refreshing Lemon Drop Cocktail. 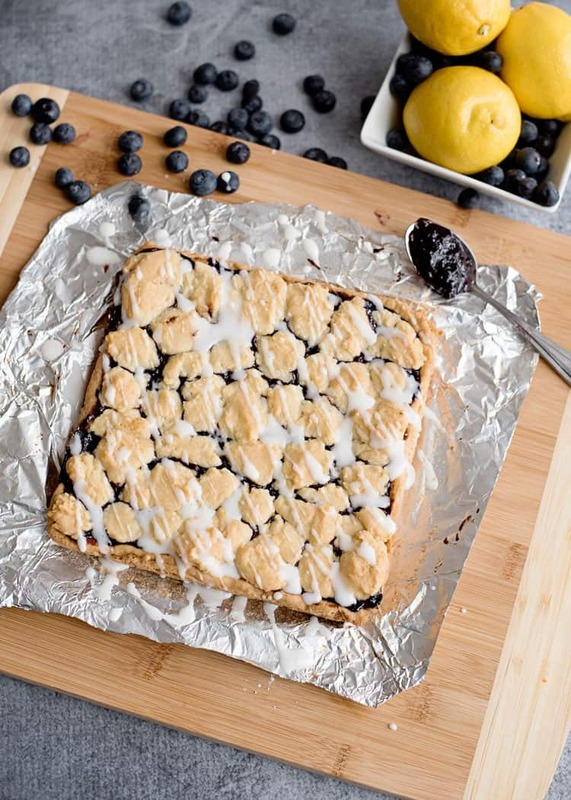 This Blueberry Lemon Crumble Bar brings together two key ingredients that make whipping up a batch quick and easy. You start by using a roll of store bought refrigerated sugar cookie dough. Of course we add a few ingredients to make it more interesting, but using a roll of store bought refrigerated sugar cookie dough saves on time and leaves you with fewer dishes to do, always a plus. 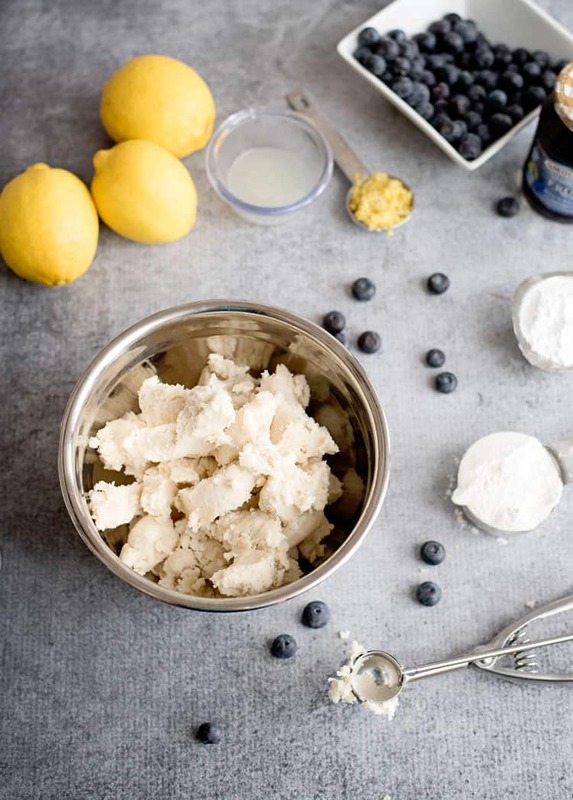 WHAT IF I WANT TO MAKE MY OWN SUGAR COOKIE DOUGH TO MAKE BLUEBERRY LEMON CRUMBLE BARS? If you have a favorite sugar cookie dough recipe by all means go ahead and use it! BUT the genius of this Blueberry Lemon Crumble Bar recipe is that it’s quick! Making your own sugar cookie dough will take away all that nearly-instant gratification, but of course if you want to make your own please do. 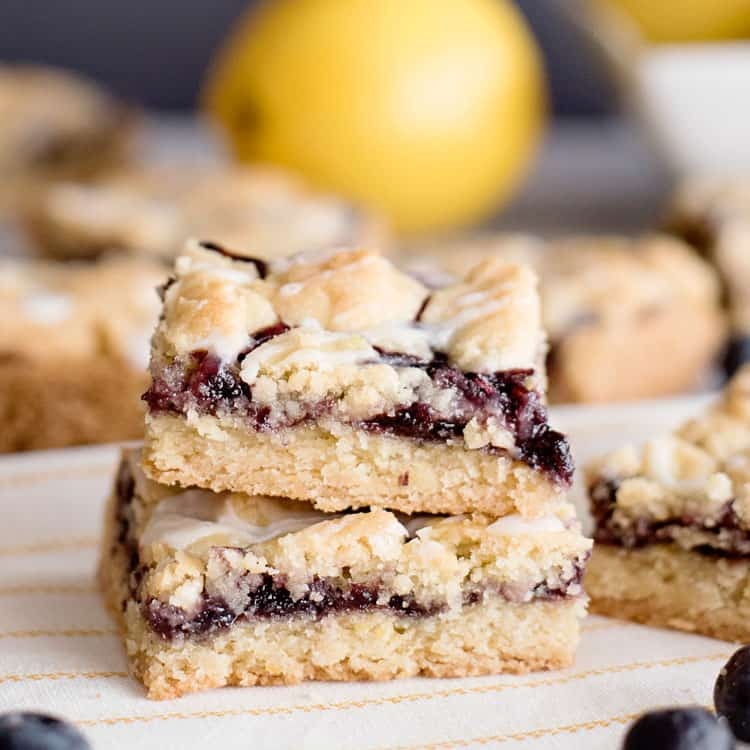 The second ingredient that makes these Blueberry Lemon Crumble Bars quick is the blueberry spread. Even though Spring has Sprung, you may not have seasonal fruits available yet, or you might just not have the time to head over to your farmers market. Enter blueberry spread. While you are at the store buying your sugar cookie dough, go ahead and pick up a jar of your favorite blueberry spread. 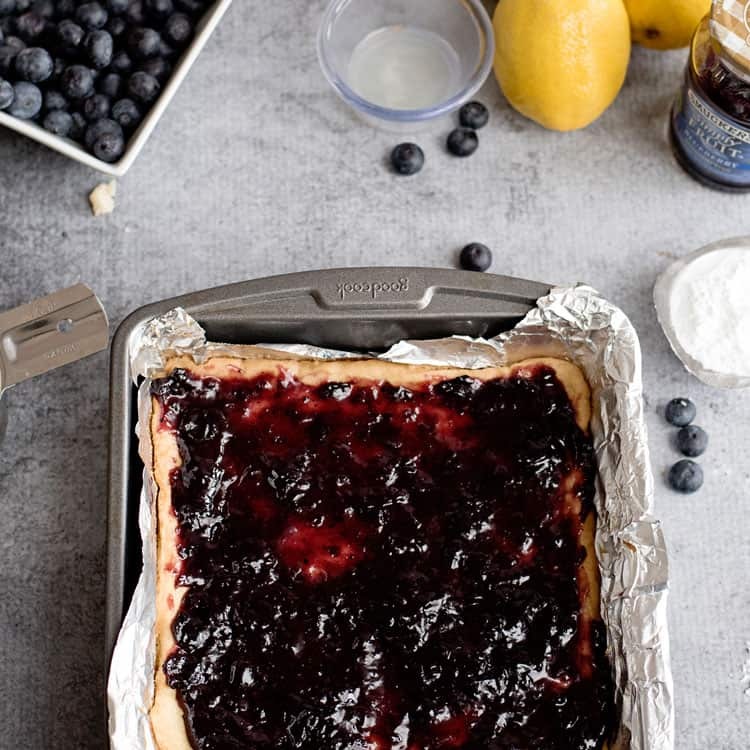 We’ll add a few ingredients to it to make things more interesting, but using a store bought spread will save you time and give you that concentrated blueberry taste you want in your Blueberry Lemon Crumble Bars. WHAT IF I WANT TO MAKE MY OWN BLUEBERRY SPREAD FOR MY BLUEBERRY LEMON CRUMBLE BARS? Again, by all means go for it, but remember we’re going for quick and easy here. Homemade jams, jellies and fruit spreads are great, maybe you even have a jar left over from last spring. Make sure your blueberry spread has a similar consistency to a store bought jar; a little jammy, a little fruity and packed with blueberry flavor. Preheat oven to 350 degrees. Prepare an 8-inch square pan with non-stick spray. For presentation and easy release, you can line the pan with foil and spray with the non-stick spray. In a bowl, break up all of the cookie dough. Add the flour and lemon zest to the broken up dough. Knead the mixture until all of the flour is well combined into the dough. Take your prepared pan and line the bottom with a little more than half of the dough mixture. Bake for 15 minutes. 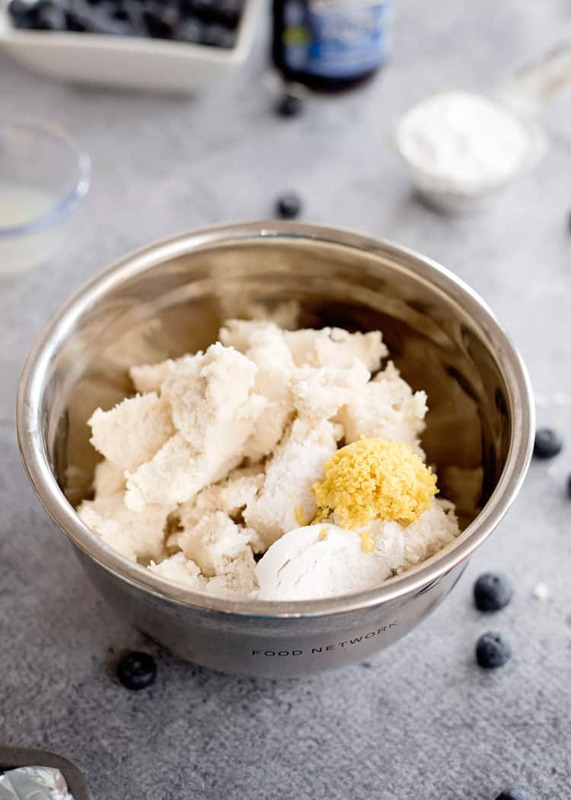 While baking, mix together the blueberry spread and 1 tsp of the lemon juice in a small bowl. When the base is done baking, spread the blueberry mixture on top. Crumble the remaining cookie dough mixture and place all over the top. Bake for 25 minutes, until the top is golden brown. Cool completely. In a small bowl, combine the remaining lemon juice and powdered sugar. If the mixture is too thick, you can add a little more lemon juice to get the consistency that you prefer. Drizzle all over the top of your cooled bars. Preheat oven to 350 degrees. Prepare an 8-inch square pan with non-stick spray. For presentation and easy release, you can line the pan with foil and spray with the non-stick spray. In a bowl, break up all of the cookie dough and combine the dough, flour and lemon zest. Knead the mixture until all of the flour is well combined into the dough. Take your prepared pan and line the bottom with a little more than half of the dough mixture. Bake for 15 minutes. 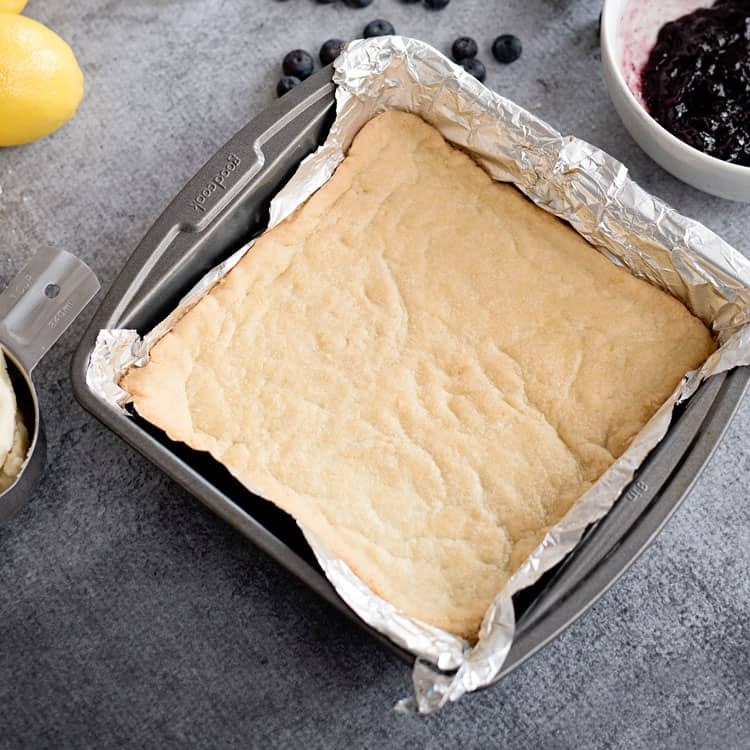 While baking, mix together the blueberry spread and 1 tsp of the lemon juice in a small bowl. When the base is done baking, spread the blueberry mixture on top. Then, crumble the remaining cookie dough mixture and place all over the top. Bake for 25 minutes, until the top is golden brown. Cool completely. In a small bowl, combine the remaining lemon juice and powdered sugar. If the mixture is too thick, you can add a little more lemon juice to get the consistency that you prefer. Drizzle all over the top of your cooled bars, cut and enjoy!